for $874,900 with 4 bedrooms and 2 full baths, 1 half bath. This 3,490 square foot home was built in 1997 on a lot size of 60x119. 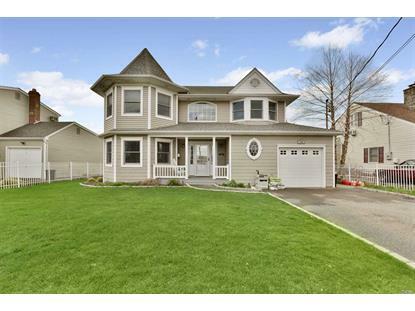 Exquisite & Meticulous Waterfront Colonial Located in Massapequa Shores.This Home Features Hardwood Flrs, Cac, Recessed Led Lighting, Crown Moldings, Eik W/Custom Cabinetry, SS Appls & Granite Counter Tops, Fdr, Living Rm W/Vaulted Ceiling & Floor To Ceiling Windows, Den, Family Rm/Bedroom, Mudroom/Pantry, Master Ensuite, 3 Bedrms, 1.5 Baths W/Wainscotting, Fully Fenced Private Yard, 1.5 Garage, 60 Ft Bulkhead, A Boaters Delight !Close To Schools, Shopping & Transportation.NC Assessment Showing Tax Reduction.